A group of residents who live near an area provincial geologists believe has potential gold deposits wants the McNeil government to guarantee some areas will be off limits, and they want that assurance written in law. Lydia Jenkinson and her husband Paul live in an area of the province where geologists think there's gold — and possibly plenty of it. But they say it's their drinking water that's most precious to them. 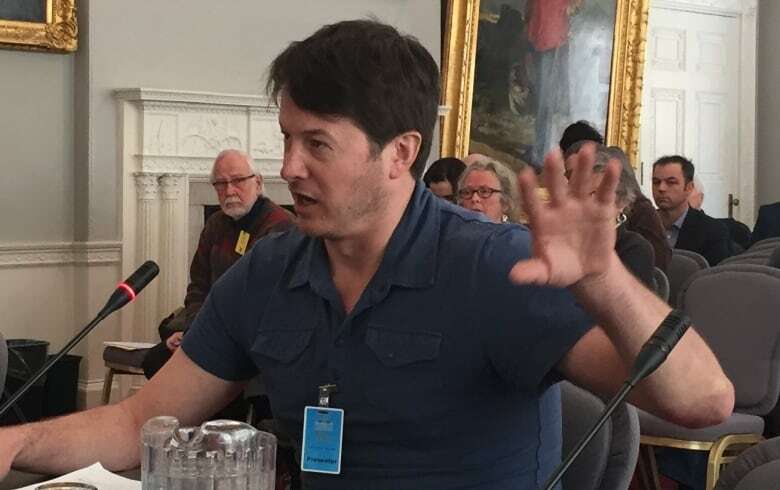 That's why they and some of their friends and neighbours descended on Province House Monday to appear before a legislature committee examining changes to the Mineral Resources Act. 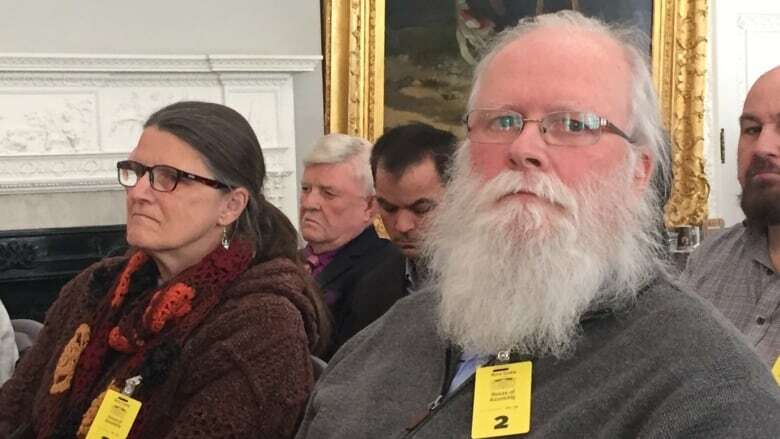 "I'm very concerned about having a tailings pond full of heavy metals like cyanide in a watershed area," Lydia Jenkinson told the all-party committee, referring to a section of northern Nova Scotia identified as the Eastern Cobequid Highlands. Provincial geologists have been exploring the area and conducting tests to determine its makeup over the past several years as part of what the government is calling the Warwick Mountain Project. But it's not the region's geological potential that excites those who live in the region — it's what's already there. "Drinking water, water used for farming and water used for other sustainable business can all be contaminated by a mine operation," said Paul Jenkinson. The amendments being proposed by the McNeil government pertain to an appeals process and have nothing to do with their concerns. Nor is there a proposal for a mine yet or even commercial exploration in the area. But the members of Sustainable Northern Nova Scotia want to set clear boundaries before any company wins the right to conduct more detailed exploration to see if a mine would be viable. "Prospectors, gold mining companies, mining companies coming into the province to come in fast, go out fast and leave a big mess," is how Margaretta Sanders described her fears of a mining operation near her home. "In our neck of the woods, northern Nova Scotia, we actually can drink water from our wells," she told the committee. "Drinking water is the new gold!" Gregor Wilson, whose family owns Ski Wentworth, said a mining operation could put the family-run facility in jeopardy. "I doubt a minister would approve such a mine location in the middle of our ski area but the fact that it could happen gives me serious concerns in the current legislation," he said. "Water is far more valuable to citizens of Nova Scotia than gold can ever be." National parks or historic sites. The Department of Natural Resources is hoping to issue a call for proposals for exploration by May and approve a proponent by August. Any further work to develop a mine would be subject to environmental assessments and industrial approvals. "To risk the clear, safe drinking water in seven watersheds for short-term jobs to me makes no sense," said Wilson.